Richard Harrison from popular pawn shop TV series Pawn Stars has passed away at the age of 77. Known fondly on the show as ‘The Old Man’, Harrison was a former veteran who moved to Las Vegas back in the 1980s where he established the now famous Gold & Silver Pawn Shop alongside his son, Rick. 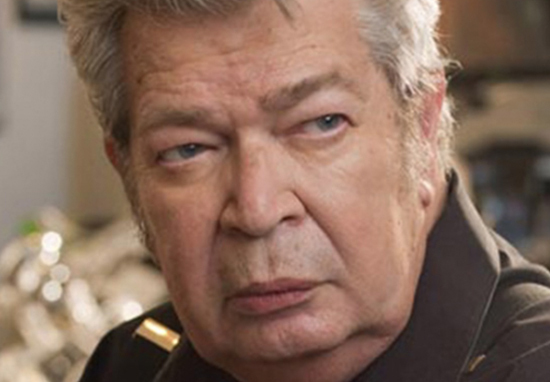 It is with heavy hearts that we acknowledge the passing of Richard Benjamin Harrison (known as ‘The Old Man’ to Pawn Stars fans the world over) this morning. He was surrounded by loving family this past weekend and went peacefully. The team at Gold & Silver Pawn and the Pawn Stars family is grieving his loss. He will be remembered as the best father, grandfather and great-grandfather you could have by his family and by fans as the sometimes grumpy (always loving, however), often wisecracking, and voice of absolute reason on the History television show ‘Pawn Stars’. Services are pending and the family appreciates your prayers and kind words. He lived a very full life and through the History television show ‘Pawn Stars’ touched the lives of people all over, teaching them the value of loving your family, hard work and humor. We appreciate everyone’s thoughts and prayers and ask that we are provided some privacy at this time. The circumstances surrounding Harrison’s death have not been disclosed. Cult reality show Pawn Stars has aired on History since 2009, and likeable, quick-witted Harrison was a favourite among the loyal fanbase. Harrison showed a particular interest in cars, and was even gifted a 1957 Chevy 150 Sedan by the stars of American Restoration and American Pickers. Fans and those who knew the popular reality star personally have taken to social media to express their condolences, with many praising his sarcastic sense of humour. Heartfelt sympathies to my good friend Rick Harrison @GoldSilverPawn and the entire Harrison family and all of my friends at #gspawn on loss of The “Old Man” Richard Harrison. Sad news that the “old man” from Pawn Stars passed away. He was a navy veteran and an extremely entertaining part of the show. Our thoughts are with the family of Richard Harrison at this difficult time.